Since debuting in May of 2010, Jimmy and Jey Uso had the opportunity to compete in seven WrestleMania events. However, as explained during a promo with the New Day on SmackDown Live, the team has never competed on the main stage, despite being tag team champions on five different occasions in their seven-year WWE career. 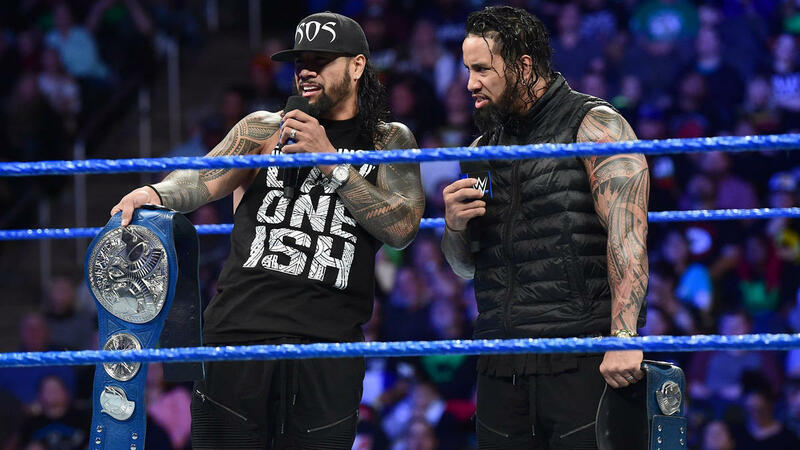 During this promo, the Usos gained the respect of the crowd, and portrayed a real-life desire to no longer be on the pre-show. At WrestleMania 27, they were a part of the dark match battle royal which was won by the Great Khali. At WrestleMania 28, they were a part of the triple threat WWE Tag Team Championship match on the pre-show against champions Primo & Epico, along with Justin Gabriel & Tyson Kidd. There was no appearance at WrestleMania 29. At WrestleMania 30, they successfully defended their WWE Tag Team Championships against Rybaxel, the Real Americans, and Los Matadores. At WrestleMania 31, they unsuccessfully challenged for the WWE Tag Team Championships on the pre-show, with Tyson Kidd and Cesaro successfully defending, also against the New Day and Los Matadores. At WrestleMania 32, they defeated the Dudley Boyz on the pre-show. Last year at WrestleMania 33, they (as SmackDown Live Tag Team Champions) were a part of the Andre the Giant Memorial Battle Royal, which was won by Mojo Rawley. The twins also shared what helped their heel turn in 2016 be more effective. According to Jey, it would have never worked if they were not babyfaces for seven years. If the Usos do indeed compete on the main stage for the first time this year, they just may steal the show against their biggest rivals, the New Day. However, based on what the WWE Universe saw on Fastlane, the Bludgeon Brothers have a very clear motive of destroying both teams on their way to the top of the tag team division.